I made another pair of trousers. 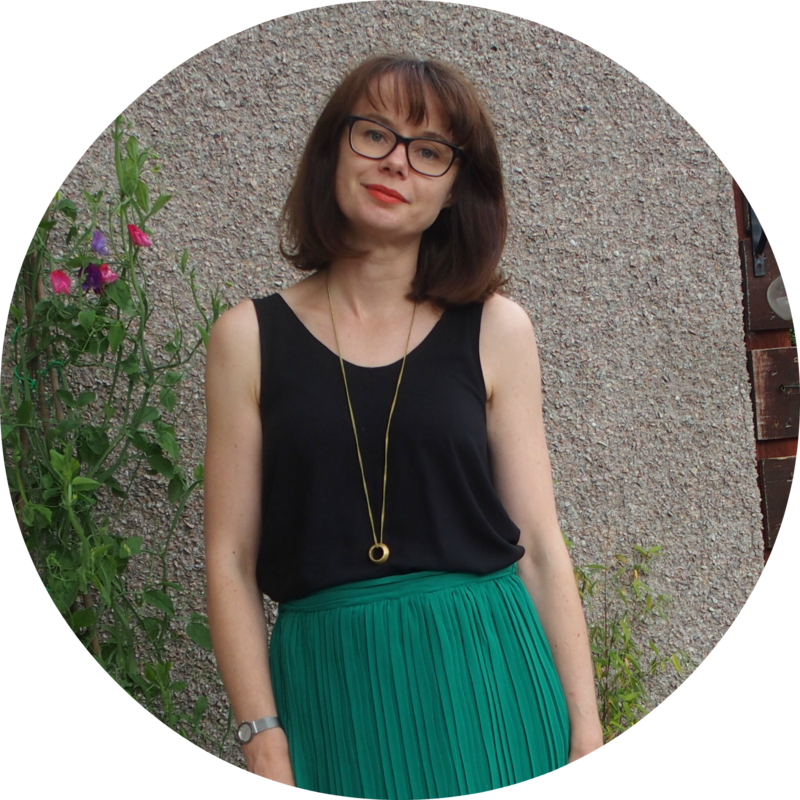 I seem to be on a roll with trousers at the moment, so I'm going with it, although black basics really don't make for the most exciting blog posts. This is a mash up of the True Bias Emersons (top part) with the Named Alexandria Peg Pants (legs). The Emersandria? I can't fully take credit for this combo. Someone, can't remember who, or when, made a tapered leg Emersons ages ago on Instagram which obviously planted a seed. I bought a pair of Uniqlo trousers recently which were nice, but didn't fit that well and I thought "I could make something similar" which made me put both patterns together. I kept the Uniqlo merino jumper, which I am wearing in these photos £15!). Anyway, the patterns went together well. I traced the Emersons down as far as the shorts line, then blended into the Alexandria legs. I also scooped a little out of the front crotch curve because I felt like the shorts I made last summer needed it. The fabric is a poly/viscose gaberdine with quite a lot of stretch. I bought it from Splendid Stitch a while back with plans to another pattern that never really worked out. It has a lovely drape which makes it perfect for this style, although the poly makes it a little hard to press - it's quite bouncy. It's also thick, noticeable when sewing over multiple layers like at the pocket at the side seams, but it behaves nicely and isn't staticky like other polys. Unfortunately Splendid Stitch appear to have sold out of it. I bought a remnant in grey because I liked it so much, although the grey does remind me of Euan's school trousers. There's not a lot to say about this make. I like the Emerson shape at the top. I love the pleats and the fact that for some reason they don't add volume at the crotch like other pleated trouser patterns I've tried. I also like the leg shape of the Alexandria, so the combo is pretty perfect for me. Oh, I added a bit of width to the back pattern piece at the calf. Something that I apparently need for all trousers. I love these trousers. I seem to have to have my hands in the pockets all the time for some reason, but that's OK. They are extremely comfortable with drape and stretch of the fabric, plus the elasticated back waist band. I love them so much that I'm making a second pair with that grey remnant. Personally, I don't really like them with ankle boots, so they are better for the brighter days with flats and (gasp) bare ankles. Fingers crossed we have more brighter days soon. I'd like to continue my trouser making journey a bit more. I definitely plan to make Ginger jeans, and I'm exploring other trouser pattern options that have proper fastenings. I'm not opposed to elastic waists (certainly not with a flat waistband at the front), and they are quick to make, but I'd like to try something else and have a bit of variety.